Juve led with Dani Carvajal own goal on the 12'th minutes before Bale equalised with a thumping half-volley on the 39'th minutes . Main while Marco Asensio put Madrid ahead he scored the second goal at 47'th minutes and third goal the Juve's Wojciech Szczesny should have stopped at 56'th making it the sealed 3:1. Ronaldo, who joined Juve last month in a £99m deal, was not featured in the March, he has been given an extended break after the World Cup. Madrid allowed the 33 years old to leave for the Italian champions after a nine years triumph which saw him score a club record 450 goals and win four Champions League titles. 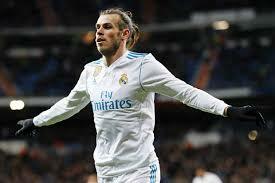 The Portugal forward's departure appears to have secured Bale's future at the Bernabeu for the time being, with new coach Julen Lopetegui saying the Wales forward can "help fill the void" this season. Lopetegui is also hoping a number of young players can also step up this season for the European champions and, on the evidence of this pre-season friendly in Maryland, USA, it looks like they will. Main while there has been impressive performance at the second half as Bale, Germany midfielder Toni Kroos and striker Karim Benzema came off. 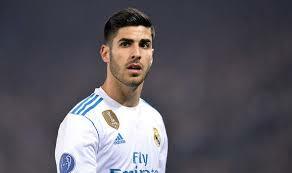 Spain international Asensio, 22, took his chances in front of goal, while 18-year-old Brazilian forward Vinicius Junior - who joined this summer in a £38.7m deal - was a constant problem with his sharp and direct running. The pair linked up for the European champions's second goal, Vinicius skipping into space on the left before squaring for Asensio to roll in. Juventus tried but had little answer to the pace and energy of their opponents after that, although Federico Bernardeschi did see an injury time free kick which ended onto the bar, the ball possession of Real Madrid was 65 percent while that of juventus is 35 percent respectively.